PRESS RELEASE – Saipan, Northern Mariana Islands (NMI) – After a successful first expansion into Palau, the KONQER team looks ahead to launching the first obstacle course challenge in the CNMI, according to Kaz Endo, KONQER Sports chief experience officer. 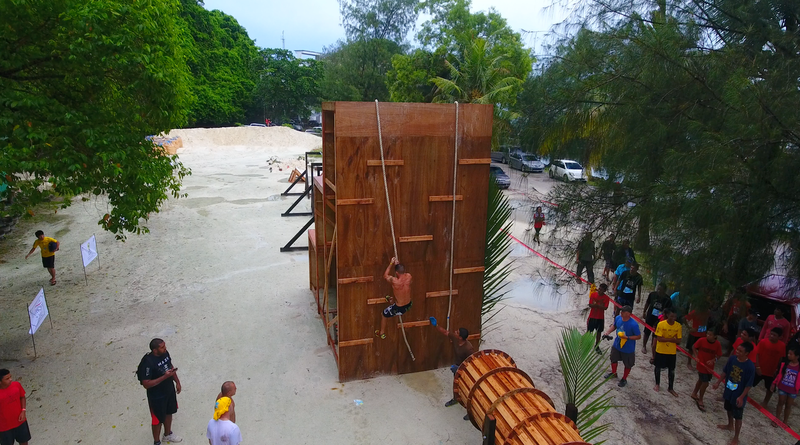 KONQER partnered with Palau Visitors Authority (PVA) to launch the first-of-a-kind obstacle course event on the island, with the vision of promoting wellness through play. Similar to Palau, KONQER Sports is working alongside Marianas Visitors Authority (MVA) to bring KONQER to Saipan on Sept. 9, making it the first obstacle course challenge in the CNMI. Both MVA and host hotel Fiesta Resort & Spa Saipan hope to attract more visitors to the island through another sports tourism event. “Considering the CNMI’s strong reputation for sports tourism that attracts athletes from around the region and beyond, Fiesta Resort & Spa is proud to be the host resort for the first ever KONQER Saipan on Sept. 9,” said Wendi Herring, Fiesta Saipan general manager. The Saipan event will be held at the new Gov. Eloy S. Inos Peace Park in Puerto Rico, and will feature multiple divisions to allow participants to tailor their KONQER experience. “Our completion division allows solo participants or teams of up to 20 people to go through the course at their own pace, helping each other along the way,” said Endo. “In addition, we have solo and team divisions that allow athletes to test their limits and try to make it through the entire course with the fastest time. Online registration and additional information is available at konqersports.com, and early bird pricing is offered to the first 200 people to register. As with all KONQER events, kids 14 and under may go through the course for free, with the supervision of a parent. All parents must register their kids online at konqersports.com to secure their free spot.